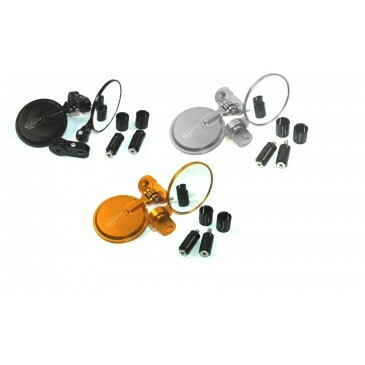 The mirror face is approximately 78mm/3" in diameter and 84mm diameter overall. Fit with supplied fitting kit or simply bolt straight through to our bar end options. Mirrors normally look ugly on our scooters - NOT THESE! 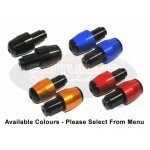 Work very well with our bar end weights see this products related items or look up CA40001.